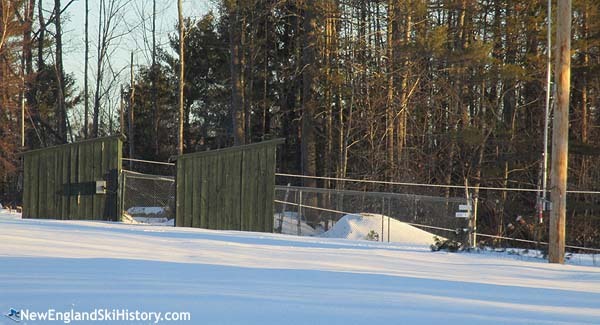 Located near the Frieze House at Cardigan Mountain School, Clancy Mountain is a small rope tow slope. Clancy Mountain like dates back to 1948-49 or 1949-40, when Richard Clancy and Don Stowe constructed a tow on the school's campus. Kept functional with multiple overhauls, the tow has served students nearly every subsequent winter. The tow continued to operate in the 1960s when the school opened its larger T-Bar served Pinnacle area down the road. While Pinnacle was later closed and dismantled, Clancy continues to operate for students and faculty to this day.